a selection of blending tools can be very helpful. The main tools used for blending coloured pencil, pastel and similar would be, tortillion, paper stump, cotton buds, Chamois, rags, cloth, brush and of course your fingers. Each gives a different effect, its good to try them all. 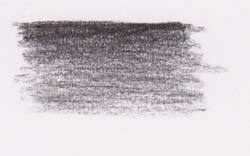 A Tortillion is tightly rolled paper formed into a pointed tip, sometimes called a 'torchon', it is used for blending graphite, pencil, oil pastel and pastel. It is best used where delicate surface blending is needed, with the long angled tip being used to gently merge the colours. Being made of paper it works much better when not dipped into Zest-it Pencil Blend. It is very useful when the pigment and paper are damp but not the tortillion itself. Cotton buds can be used in much the same way. Blending Stumps are made of tightly compressed paper and formed into a hard stick or pencil shape. They are good for precise blending and are for many the workhorse of pencil blending. They are available in different widths and experience resolves the best one for individual use. Dip into Pencil Blend for smooth blending and the merging of colour, because they have a sharper point than the tortillion, they are very effective for neat edges. Wiping on towel or rag as you work will keep the tip cleaner. Wait for the stump to dry before cleaning on sandpaper or sanding block, its also easier to have separate stumps for colour families, much more economical. The narrow ones are handy if you prefer to use a pencil sharpener to clean the stump. It's best to use Brush strokes in the same direction as the pencil was applied to blend the coloured pencil. Work small areas at a time and have a cloth or kitchen towel handy to wipe the tip of the brush, this also keeps the work smooth and the brush clean, which in turn keeps the Blending Sponge cleaner. When using a brush for blending work it's best not to wash it until you change colour or have finished the work. You may wonder why? A clean brush will remove colour from your work and this is not the object of the exercise! Although this is shown on Parchment, it works just as well on paper. If you don't use the Blending Sponge and dip your brush into the fluid you will be best to touch the brush to towel before applying to the paper. Otherwise, the retained fluid in the brush can swamp your work and make the coloured pencil behave like watercolour! Decanting a small quantity of Pencil Blend into a container suitable for your brush is a good way of keeping the bottle of fluid clean, also when dipping into a bottle its very easy to knock it over - not what you want! 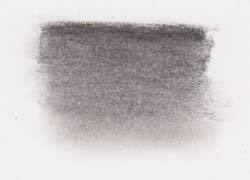 A Chamois Leather is excellent for blending pencil, graphite and charcoal, also for lifting out high-lights. Pastel has been laid dry onto Bristol board with a slight graduation in tone. This is a soft Pastel and the tone was achieved by the pressure applied to the Pastel pencil. This is the same pencil blended with a Chamois leather dampened with Pencil Blend. The Chamois was folded to a soft point, then used to blend from dark to light. The soft 'smokey' area at the base was achieved with the remains of the damp Pastel on the leather. Very soft and delicate effects can be produced this way. Zest-it Pencil Blend evaporates completely and leaves no residue. Acetate, Velum and Drafting film are almost non-absorbent as a surface, so the amount of liquid used when working on these is far more important. 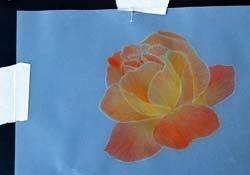 This Rose has the Pencil applied and because of the translucent quality of these surfaces it is often better to place the piece on a dark background for clarity when blending. Oil Pastels - on watercolour paper. 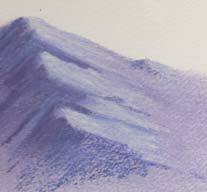 The 'purple' oil pastel was laid, then blended with a small sponge, slightly damp with Pencil Blend to give the under-painting. The darker pastel was applied, some of which has been blended. The un-blended area gives a good indication of the 'tooth' of the paper. The white was applied allowing some of the under-painting to show through. Oil pastels have 'substance' and the 'tooth' of the paper is quickly lost, so colouring the paper first allows more layers to be applied. Many of the techniques given above apply to oil pastels. Coloured Pencil on Drafting film.